The Association is governed under the arrangements as set out in its Memorandum and Articles of Association. An executive comprising the Directors of the Association is responsible for its strategic direction and objectives. 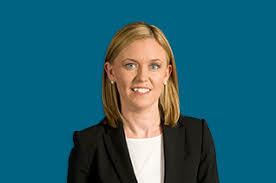 The Chair of the Association is Avril McCarthy, General Manager, Derrycourt who was appointed at the Annual General Meeting on 25 September 2018. The association has appointed Alternative Management Solutions (AMSCO) to run the day to day operations of the organisation. The Council comprises all member companies of the Association. The Council appoints the Executive. The Council meet quarterly and contributes to the strategic direction and objectives of the Association. Working committees are set up to represent key initiatives in the industry or monitor the implementation of activities on behalf of the Council. Committees are appointed by, and report to, the Members’ Council. The Memorandum & Articles of Association provide that an Annual General Meeting of all members will be held annually. The financial period of the Association is from 01/07 to 30/06 each year. The AGM is held annually in September.